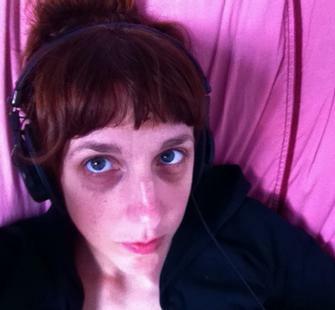 Andrea Kleine is a writer, playwright, and interdisciplinary performance artist based in New York. Recent work includes WORKTAPE 1999, an i-chat performance about Anne Frank; RATIONALITY, a verbatim re-creation of a early 1990s cable access philosophy TV show; THE SEPARATION, an opera-theater piece in collaboration with drummer/composer Bobby Previte, co-commissioned by The Walker Art Center and Hallwalls Contemporary Arts Center; and a novel, LITTLE CAMPER, forthcoming. Village Voice has described Kleine as a “master of expression,” and The New York Times has described her work as “invigorating” and “impressive.” She has received numerous commissions, grants, and awards including five MacDowell Colony fellowships and the New York Foundation for the Arts (NYFA) fellowship award. She is currently at work on a new book.